After working in mental health services for many years in a variety of frontline and management roles, Dion came to work at Ocean View in 2002 as President & CEO and in 2018 took on the President/CEO leadership role for The Birches. He has now worked in Nova Scotia’s health system for nearly 30 years. 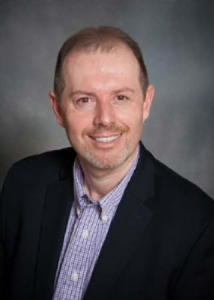 In 2007, he was appointed to the Faculty at Dalhousie University’s Faculty of Health Professions (Health Administration) and teaches a variety of courses for undergraduate and graduate students. 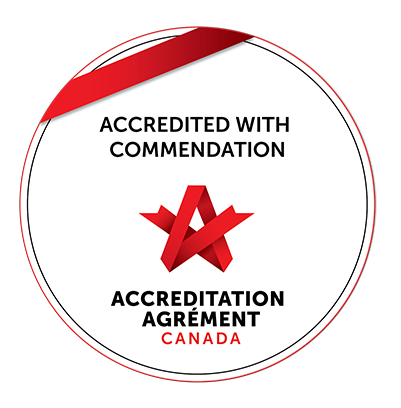 He is also a Surveyor with Accreditation Canada and gets to travel throughout Canada to support healthcare organizations on the journey to a safer and better system of services. Dion reports directly to the Board of Directors at both Ocean View and the Birches and is accountable for overall leadership for the 2 nursing homes and all community programs and services that are part of the social enterprise. He facilitates the Executive Leadership Team and provides the support for senior and middle management to practice to their full capacity in meeting the lofty strategic directions of the Board. Audra Gallant brings more than 25 years of experience as a Professional Dietitian to her role at Ocean View. Prior to her work at Ocean View, she developed a wealth of experiences in diverse roles in Acute Care, Community Nutrition, Diabetes Education, Administrative Dietetics and Long Term Care. 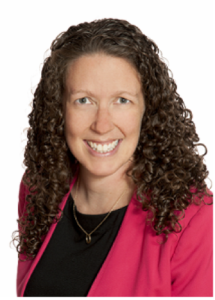 She is actively involved in her field, as a member of the Nova Scotia Dietetic Association (NSDA), the NSDA Registration Committee, and the Nova Scotia Dietitians’ Continuing Care Action Group. As Director of Therapeutics at Ocean View, Audra works with staff that have an important impact on resident life, including our Physiotherapy and Occupational team, Housekeeping team as well as the Food Production and Dietary team. She is proud of the work her team is doing, and believes that they put “residents first” in their work each and every day. Audra also chairs the Ethics Committee, Spiritual Care Advisory Committee and Engagement Team. Audra truly enjoys working with our residents and all staff at Ocean View. “Residents first” is a phrase that also drives Audra’s work, as she strives to understand resident life stories and current needs, and to provide staff the support and education they need to do the same. After working in both Acute Care and Long-Term care for many years in a variety of front line and management roles, Jacob came to work at Ocean View in 2003 as the Senior Director of Facility and Resident Supports. 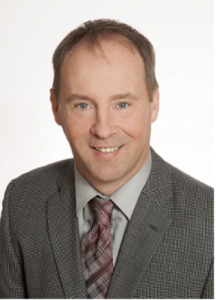 He has been working in Nova Scotia’s healthcare system since 1985 and in Long Term Care continuously since 1997. 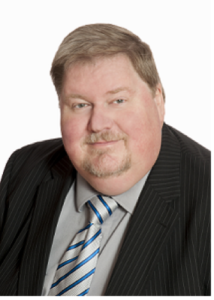 In 2005 he was elected as the President of the Special Care Emergency Preparedness Association of Nova Scotia, which is a not-for-profit association focusing on Emergency Preparedness and Management for the Continuing Care sector of the Nova Scotia Health System. In this role, he works closely with other Long-Term Care facilities to ensure they are prepared for all emergencies making the system safer for all residents. He also works closely with the Department of Health and Wellness, EMO NS, Department of Community Services, Office of the Fire Marshal and other stakeholders in this field. At Ocean View, Jacob reports directly to the President & CEO and is accountable for the oversight of maintenance, environmental (cleaning), laundry, clothing services, human resources, decision supports (IT), and capital planning and capital projects. He is directly accountable for emergency preparedness and promotion of a safe environment and works closely within the management and staff teams to provide effective leadership for Ocean View. He facilitates the In-Care Living Management Team, Emergency Planning Committee, Human Capital Team, CUPE Labour Management, Absenteeism Committee and the Occupational Health and Safety Committee. He is also accountable for all the non-labour budget for the organization. He believes in fostering an open and positive working relationship with staff at all levels and tries to build capacity within others to achieve their goals. He believes knowledge is power and strives to create critical thinkers in others for their personal growth and empowerment. His favorite quote sums up his philosophy on life, “To know even one life has breathed easier because you have lived, this is to have succeeded” ~ Ralph Waldo Emerson. Patti Lane is a Certified Health Executive with the Canadian College of Health Leaders with a background in recreation as a Certified Therapeutic Recreation Specialist. Prior to her role at Ocean View, Patti worked as a recreation therapist and also managed recreation departments in long term care. 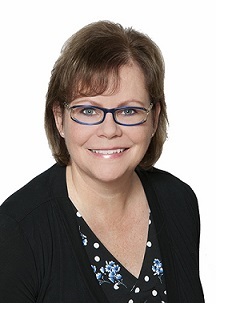 Patti holds a Bachelor of Arts in Therapeutic Recreation from the University of Waterloo and a Master of Health Administration from Dalhousie University. As the Innovation and Accountability Leader at Ocean View, Patti is responsible for the leadership of innovative projects and building capacity in the organization for sustainable current and future growth and support of the social enterprise. Patti is responsible for leading Ocean Views’ community programs including the Neighbourhood Program, Adult Day Program, Foot Care Services and the Oceanside Café. She also provides leadership for the development and sales of the J-Ro EZ Rest. Patti is passionate about exploring new and innovative ways to provide care and supports that will enrich the lives of those we serve in our home and in the community. Shelley graduated from Nursing in Edmonton, Alberta in 2003, then moved to PEI to work at the old Prince County Hospital. This is where she found her calling in nursing, in a combination of Palliative Care and Long Term Care. She spent 3 years working with the VON and enjoyed community based nursing, but in 2010 began to work in Long Term Care. It has been her passion and pleasure ever since. Shelley brings 6 years of Senior Management skills to the team at Ocean View. As the Director of Resident Care, she is responsible for the leadership of all health services and clinical disciplines and is accountable for the safe, efficient and effective delivery of care and services. Steve joined Ocean View in February of 2016 as the Director of Finance. With his CPA designation for 25 years, Steve brings senior management and financial experience from several industries, including public accounting, cooperatives, owner-manager businesses, as well as government organizations. Steve also brings to the table the ability to streamline processes, manage costs, prepare budgets and cash flow, and explore and evaluate new opportunities and systems. Steve leads the Finance team at Ocean View. His team assists residents and their families with financial responsibilities while at Ocean View and ensure the organizations effectively uses and has financial resources to carry out its work towards its goals and in line with its values. The team is very innovative and proactively looks to find new solutions, processes and resources to grow the organization.